Elizabeth S. Sburlati is a researcher in Clinical Psychology at the Centre for Emotional Health, Macquarie University, Australia. Elizabeth is also a practicing psychologist who sees clients with a wide range of presenting problems. 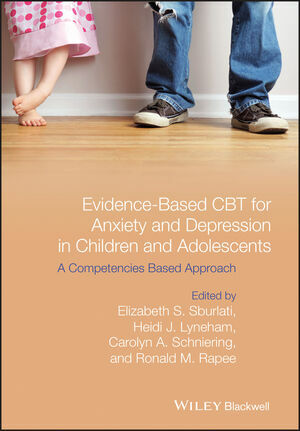 She has led the research on ‘Therapist Competencies for the Empirically Supported Treatment of Child and Adolescent Anxiety and Depressive Disorders’ which forms a basis for this book. Heidi J. Lyneham is a research fellow at the Centre for Emotional Health, Macquarie University, Australia. She has published numerous papers and chapters, and is the co-author of Helping Your Anxious Child: A Step by Step Guide for Parents, 2nd edition (2008). Her research focuses on improving assessment and treatment methods for emotional problems experienced by children, adolescents and their families. Carolyn A. Schniering is a senior lecturer, clinical supervisor, and child psychologist at the Centre for Emotional Health, Macquarie University, Australia, and also works in private practice dealing with a wide range of emotional problems in individuals, children, and families. She has published many papers and is the co-author of Treating Anxious Children and Adolescents: An Evidence-Based Approach (2011). Ronald M. Rapee is Distinguished Professor of Psychology at Macquarie University, Australia and Director of the Macquarie University Centre for Emotional Health. He is an internationally recognised expert on anxiety disorders and the development of these disorders through the lifespan. In 2012, he was made a Member of the Order of Australia for his contributions to clinical psychology in Australia.